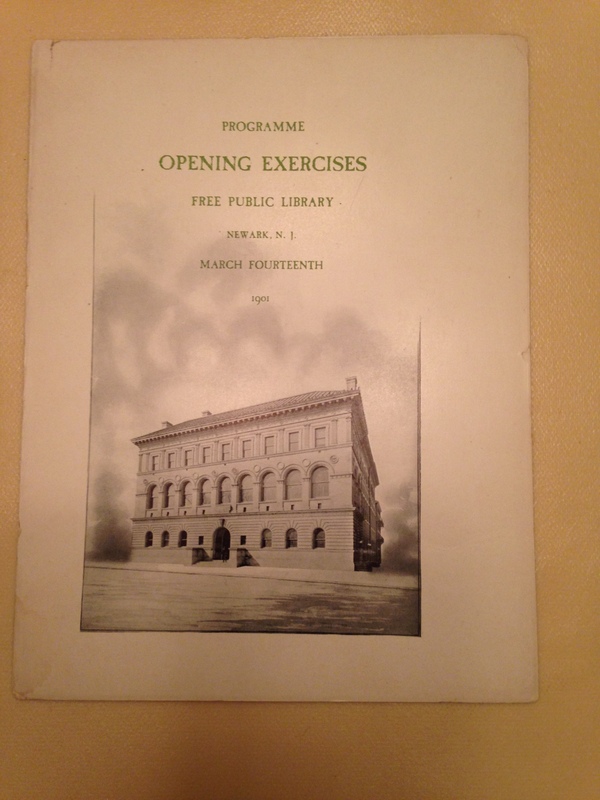 This is the 1901 dedication program for the main branch of the Newark Public Library on Washington Street. 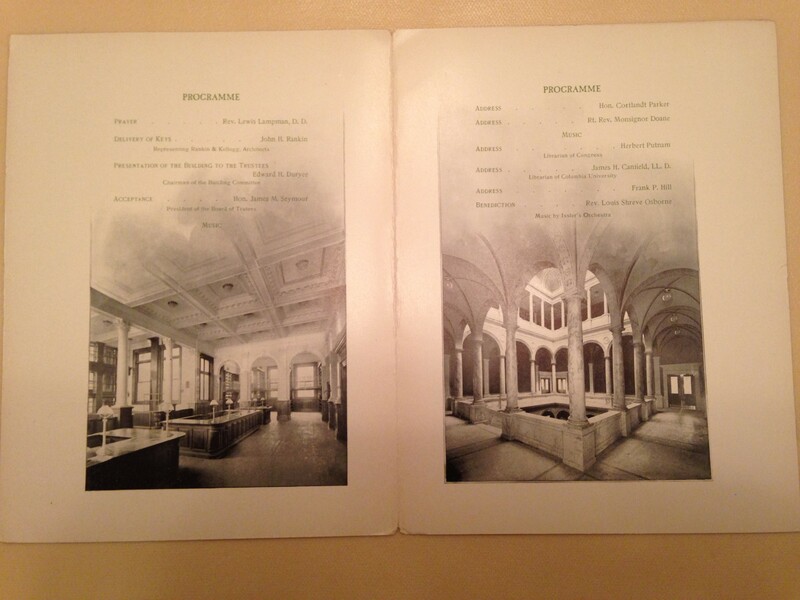 The programs many photos clearly illustrate the building’s beauty. 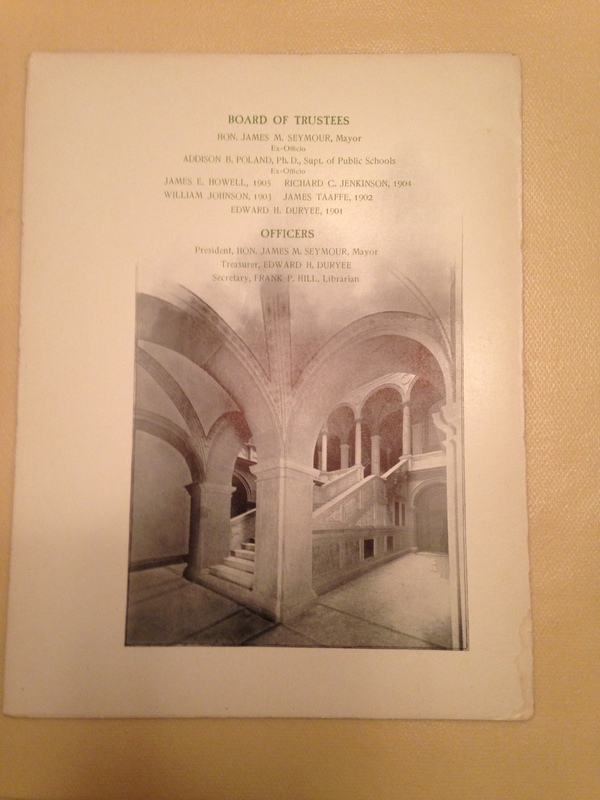 The music for the event was provided by Edward Issler and his orchestra. Issler resided at 261 High Street ( now MLK Blvd.). The brick row house still stands and was recently converted into a rooming house.